LUCA School of Arts has two locations in Brussels where they offer a variety of art-related training: campuses Sint-Lukas Brussel and Narafi. Campus Narafi boasts Brussels’ most picturesque campus site. The professional Bachelor in Film and Photography are taught in the castle in the midst of the Duden Park. This campus also played an important part in the history of televison in Belgium. The castle, located in the hilly surroundings of Forest, was built one of the highest points in the city, making it a fitting place for some experiments. Long before the first televised show by the NIR in 1953, this campus was involved with making and creating televison. Campus Sint-Lukas has been a spot for Arts students for more than 125 years now. It underwent a renovation recently, combing authentic neo-gothic details with a sleek modern addition, offering a spectacular view on the Brussels’ skyline. Students who follow an architectural degree at the KULeuven also have classes in these buildings, making this campus the epicentre of creative, energetic, artistic student life in Brussels. LUCA School of Arts the only academy of applied sciences in Arts in Flanders. In Brussels, LUCA offer professional Bachelor degrees in Photography, Film, Construction and Interior; and Academic Bachelor and Master’s degrees in Film, Animation, Photography, Graphic Design and Visual Arts. Moreover, LUCA is also a driving force behind DOC Nomads, an international Master’s degree for documentary film. Over the years, LUCA has become a royal purveyor to the Belgian arts’ scene. Directors Michael R. Roskam and Lieven De Brauwer, artists Luc Tuymans and Hans Op de Beeck, designer Danny Venelt and Sarah De Bondt, illustrators GAL and Tom Schamp, photographers Charif Benhelima, Stephan Vanfleteren and Nyk ‘Nyklyn’ Dekeyzer are just a few names that have enjoyed their formative years here. 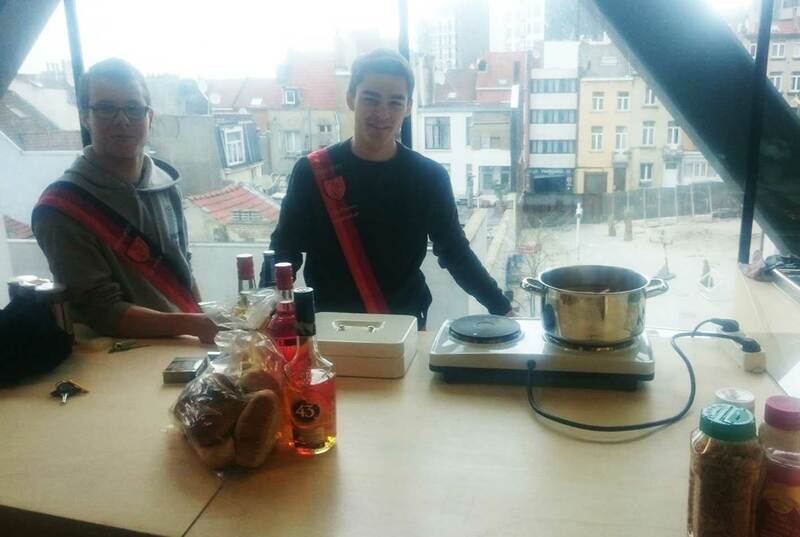 LUCA students have joined forces in their student association Fenix and Obscura. The members will make you feel welcome in Brussels and can help you get around both on and off to the campus.